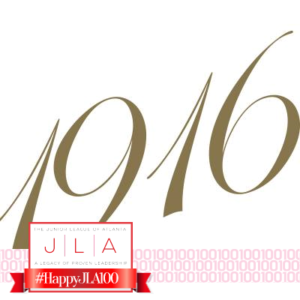 The Junior League of Atlanta’s legacy comes from a small group of 45 women who in 1916 strategically linked vision, social capital, and trained action to address community challenges. These women did not set out to change the world, only to improve the lives of women and children in Atlanta by tackling issues on the frontlines. As we look forward to our Centennial, we are an organization of nearly 3500 women strong focused on tackling the issues facing our community including generational poverty, commercial sexual exploitation/human trafficking and early childhood education. Join us at our Centennial Gift Luncheon on April 24th! Click here to learn about the Centennial Grants program. Visit our Centennial Commemorative Products page to learn about our JLA100 keepsakes. Support The Little Black Dress Initiative. Learn more. View the timeline of our history.